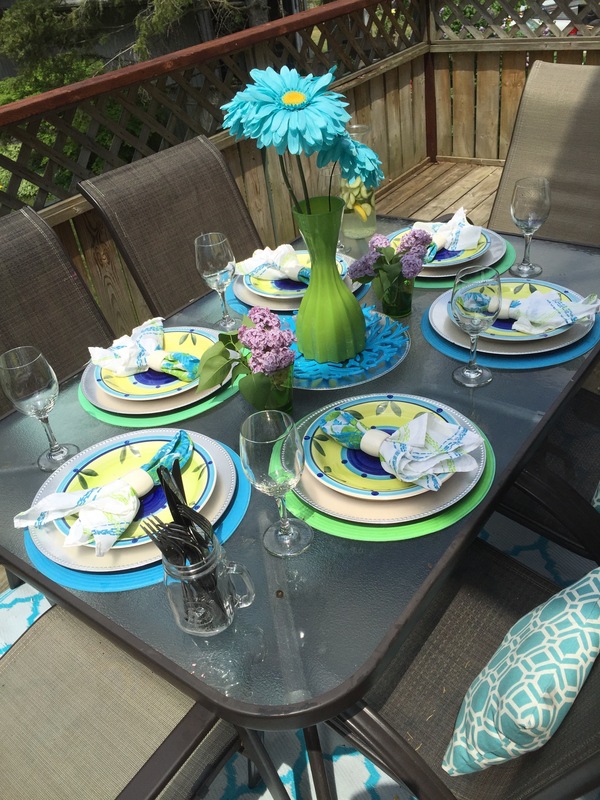 Once the weather gets warm enough, just about all our meals are eaten outdoors. 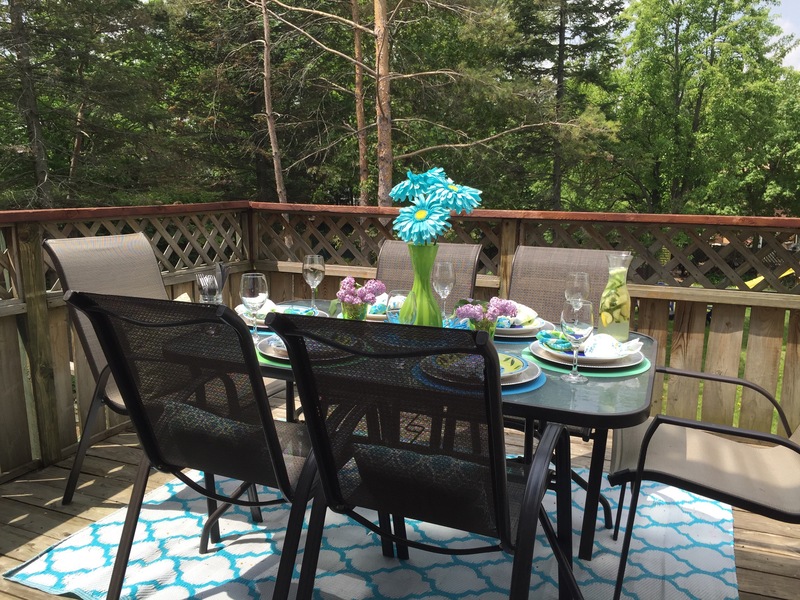 I love eating outdoors (and especially not having to sweep up crumbs five times a day). 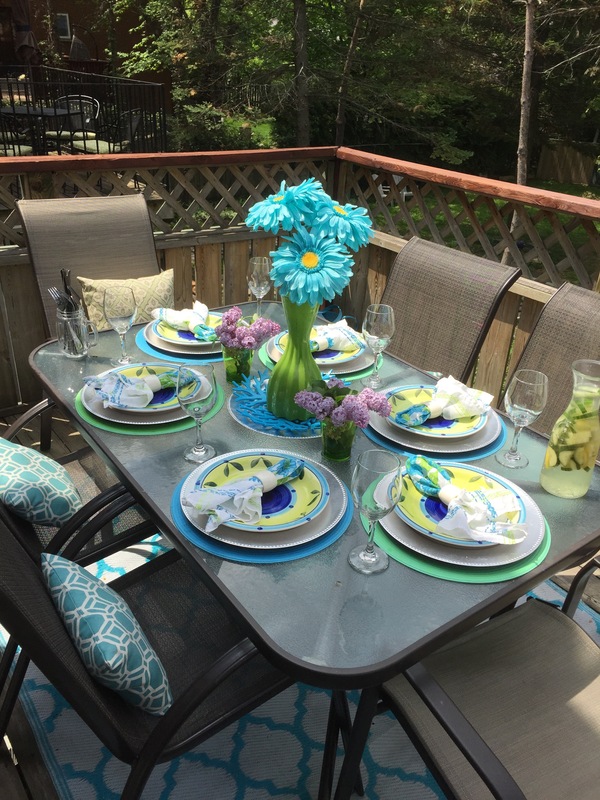 In this post, I’ll show you how I used turquoise and lime to create a fun springtime outdoor table. 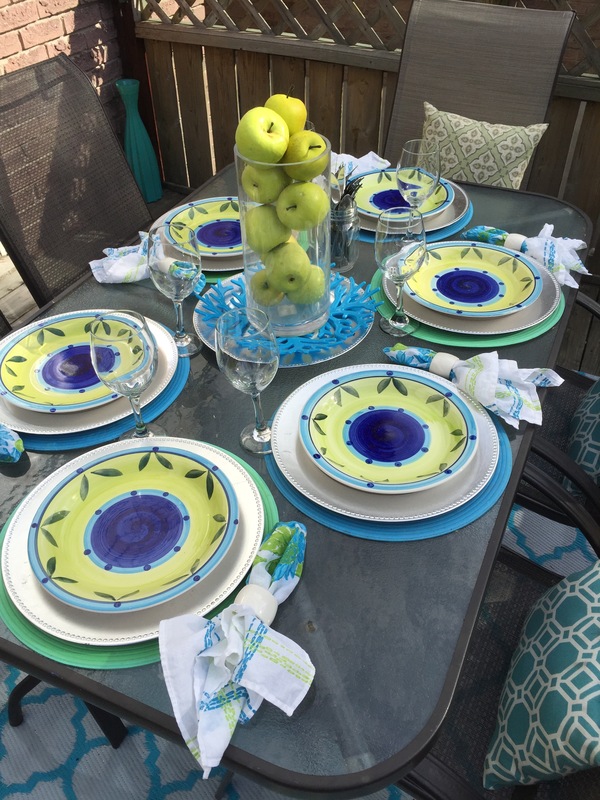 Wouldn’t a glass of green apple wine go perfectly with this table? Lol. 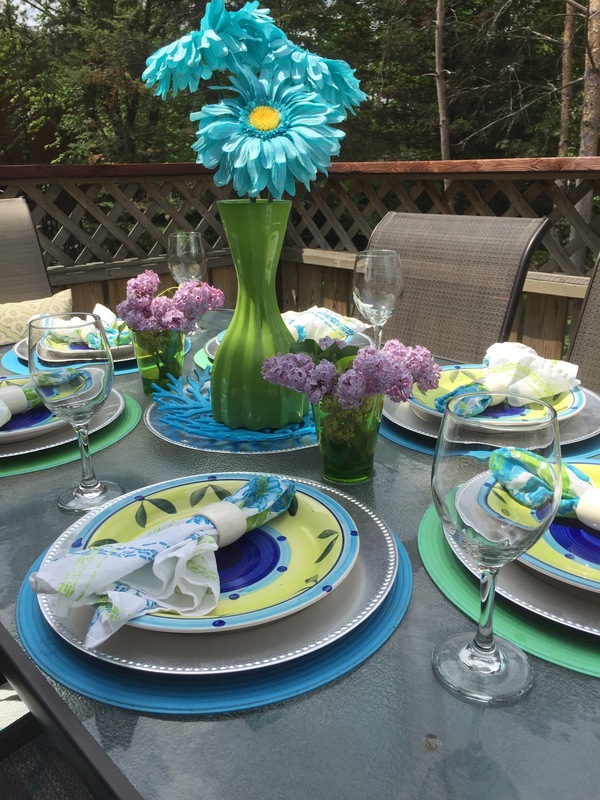 For a fun and lively table, I added some giant turquoise flowers to this tablescape. 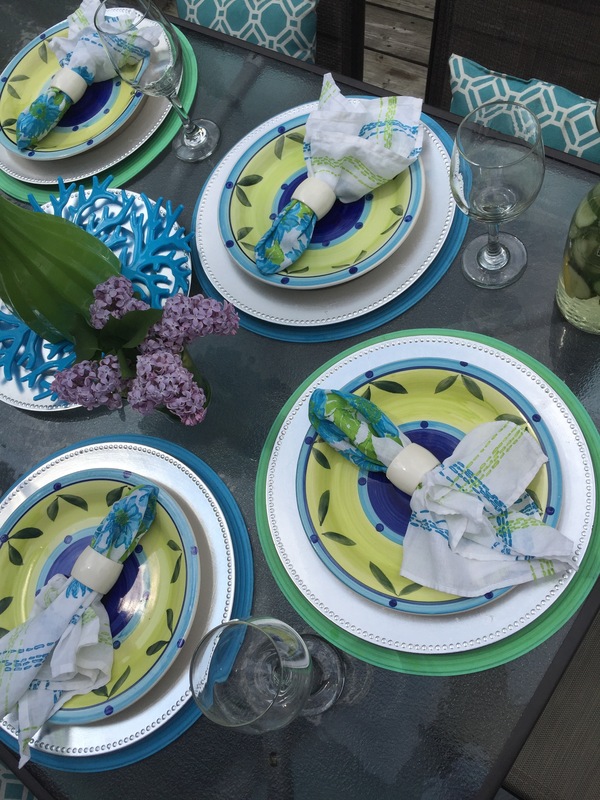 The colours for this spring Tablescape were inspired by the turquoise and lime tones in my plates. These fun happy colours make me think of spring. No need to make it formal. I simply added the silverware to the table by placing it all together in a mason jar. 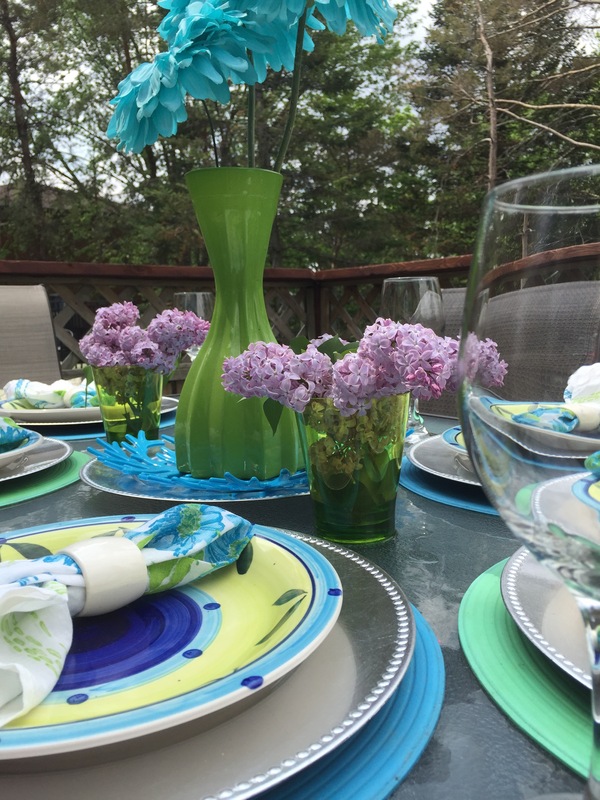 For a fragrant touch, I added some lilacs cut from a tree in our backyard. I just love the smell of lilacs in the spring. This balcony is one of my favourite places in our home. Whenever I sit at this table, I feel like I’m sort of in a treehouse. We have neighbours on all sides, but there are so many trees, it feels very private. 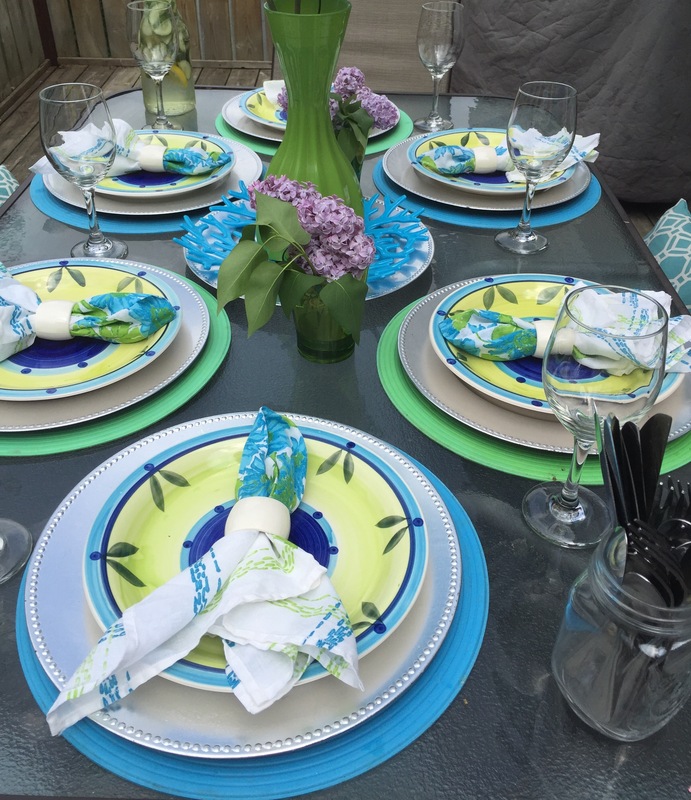 Here is a close up of the hand painted pattern on the plates. For a more sophisicated feel, I swapped out the turquoise flowers, and added some green apples in a vase. This would be perfect for a dinner party. That’s it for today’s post everyone. Have a great week, and I’ll be back again on Friday. If you enjoyed this post, please share. 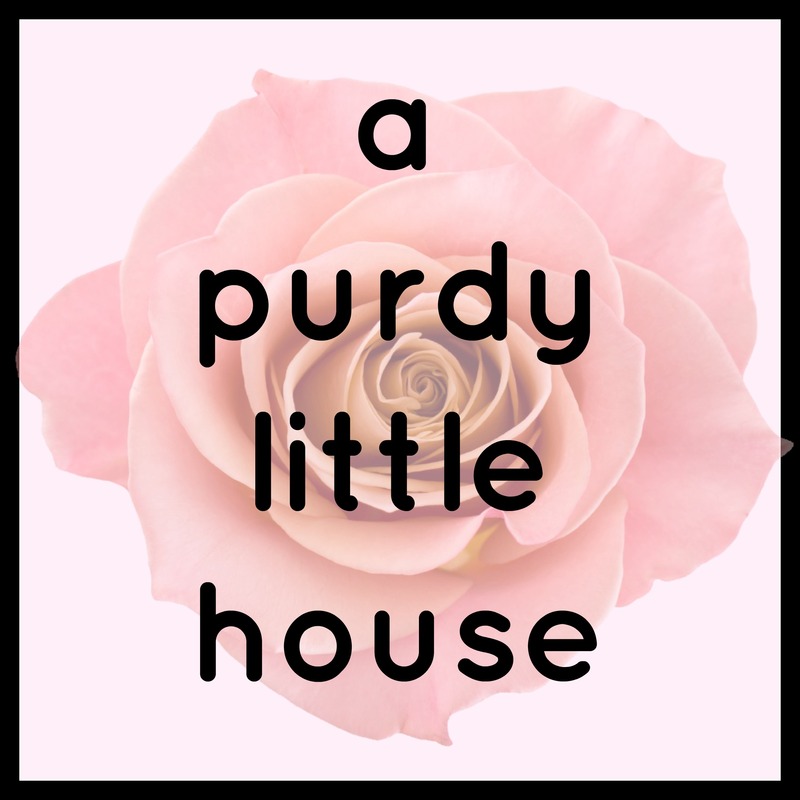 You can follow my blog by liking my Facebook page, following me on Twitter @suepurdyblogger, by subscribing by email, following me on Instagram (Sue Purdy apurdylittlehouse), or just logging on to the blog two times a week. Whatever works 🙂 If you subscribe by email, you’ll receive an email notification whenever a new post is published. It looks so inviting! Doesn’t lime play well with other colors? Lol. I think I could sit out there all day!